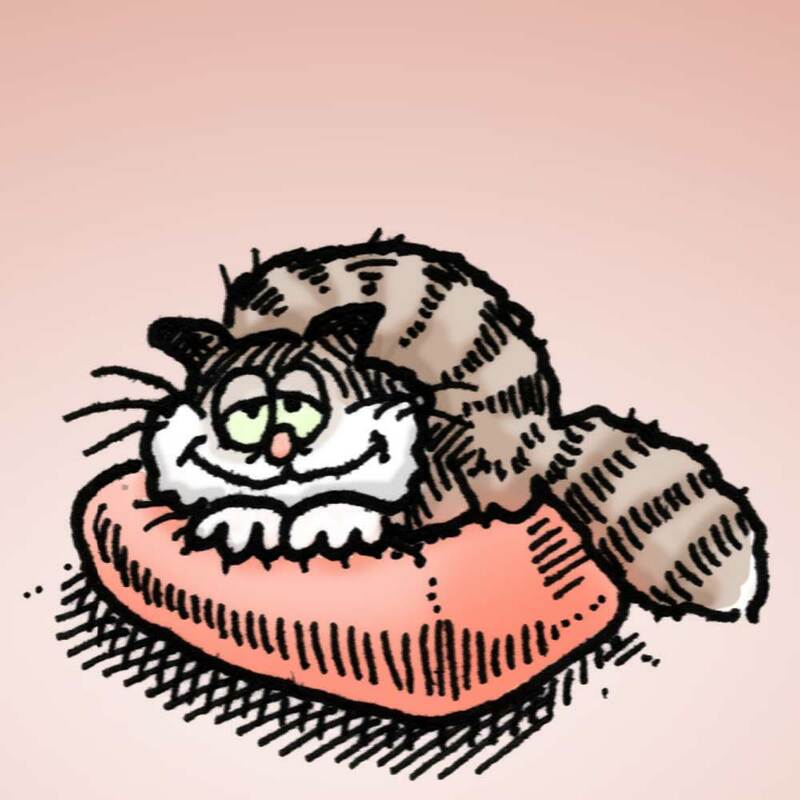 Drawing of a cat on a cushion for a letterhead, drawn in 1996. These days I’d probably try a bit harder to make sure the face looks nothing like Garfield. Originally black-and-white line-art, coloured for fun here.